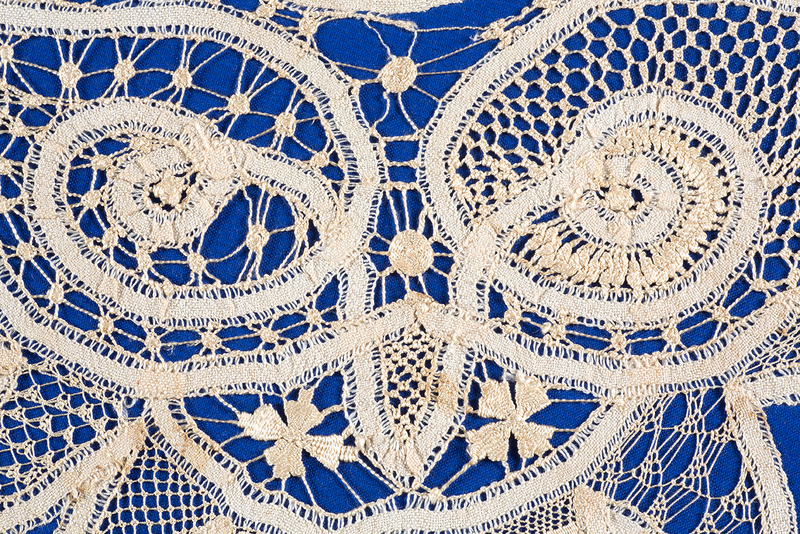 Elizabethan Blackwork Sampler – The Embroiderers' Guild, Queensland Inc. 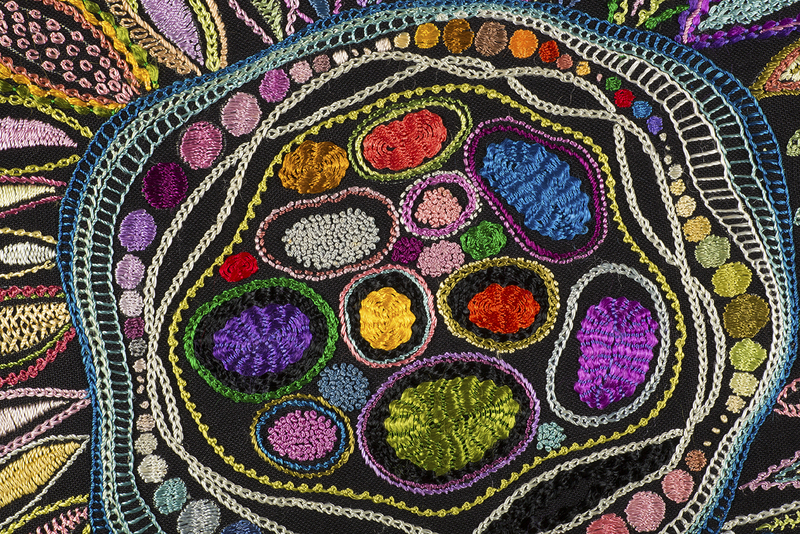 This project, an amazing sampler of black and gold work, is inspired by an Elizabethan sleeve. It is worked on 36-count Antique White linen. The size of the overall completed Blackwork design is 27cm x 22cm. 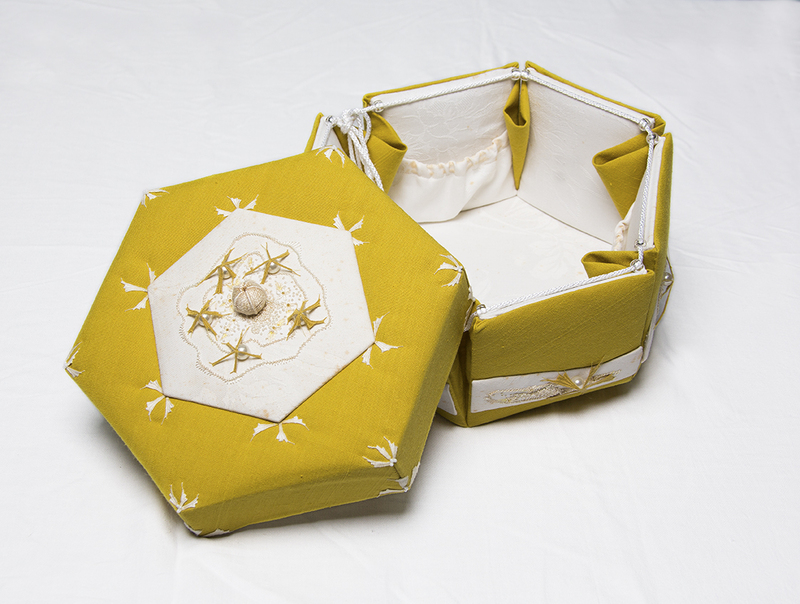 The linen and silk thread will be available from the tutor. 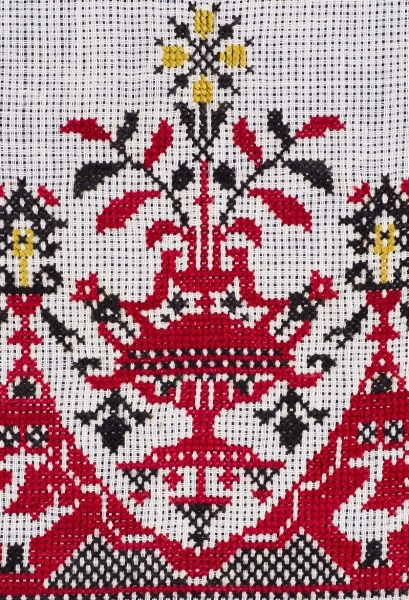 If wished, the design can be enlarged, modified, or worked on linen using a different thread count. The whole design can be stitched in black thread without using any gold thread and students may wish to stitch one motif only. Please feel free to discuss this with the tutor. 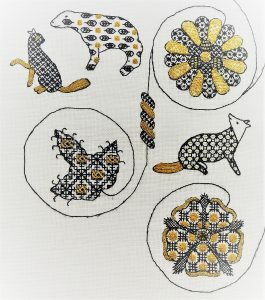 Day 1 – The first section features the beginning of a scrolling design of a sunflower, a rose and a leaf, as well as some animals, a polar bear, cat and fox. 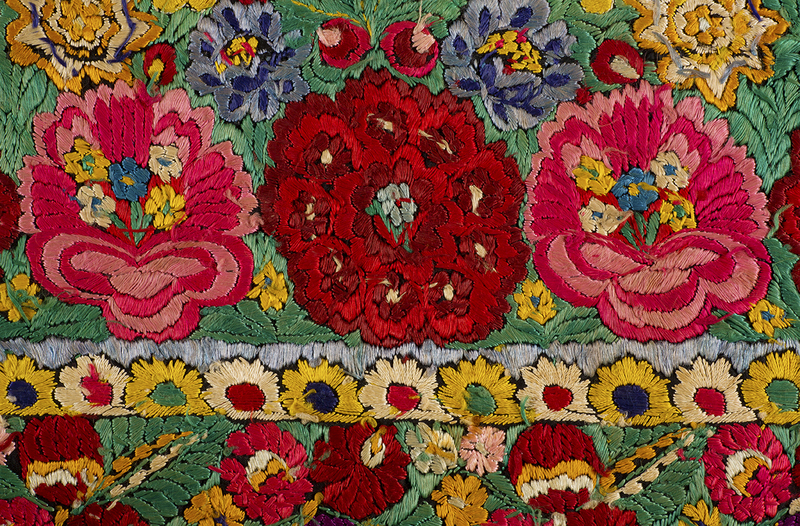 Each motif is embroidered in Blackwork patterns, worked in Au Ver a Soie black silk. 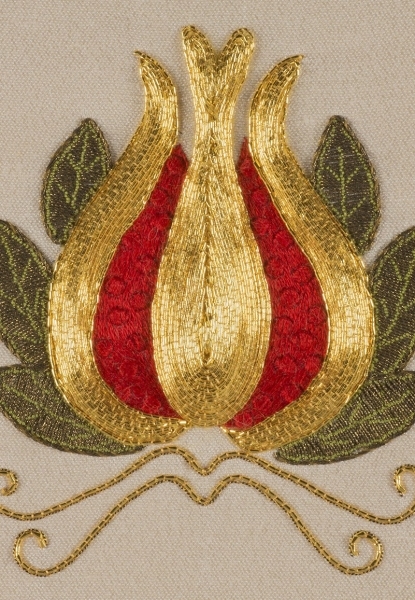 The photo illustrates the motifs stitched on Day 1 only. 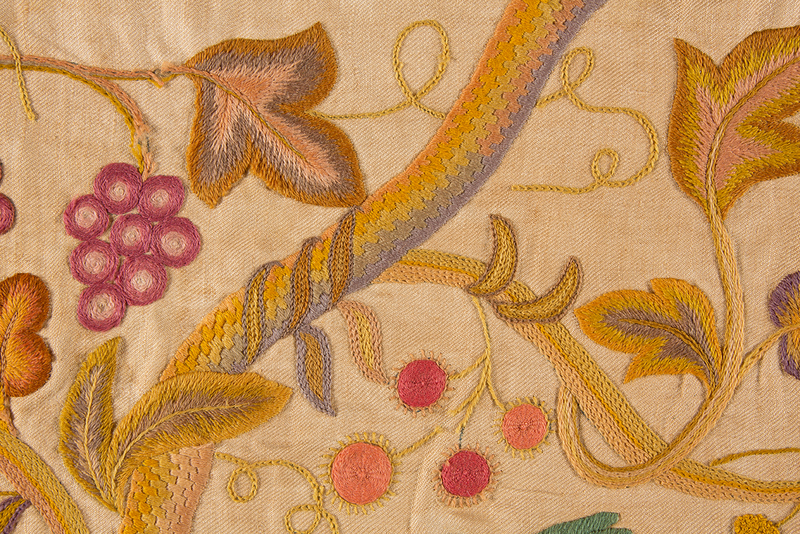 Some details are worked in a variety of stitches, including Woven Spider’s Web, Plaited Braid, Reverse Chain, Ladder and Vandyke stitch, all using gold thread. Day 2 – The scrolling design will continue with additional animals and flowers. 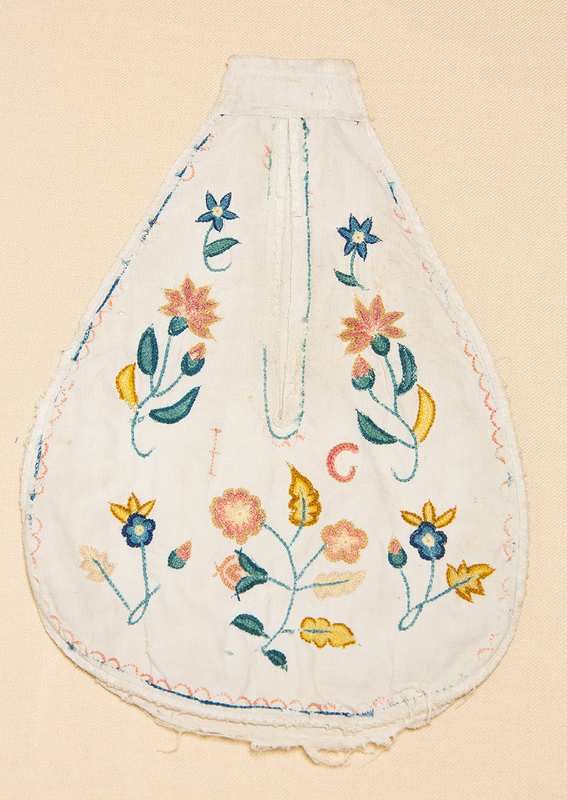 Above the motifs embroidered on Day 1, students will stitch a pansy, a stylised flower, a peacock and a pomegranate. On the right of the sunflower and opposite the polar bear and the cat, a stag will be stitched. Day 2 designs are not shown in the photo. Bookings are essential and close on 28 June, 2019. Please complete the Class Registration Form on the website. 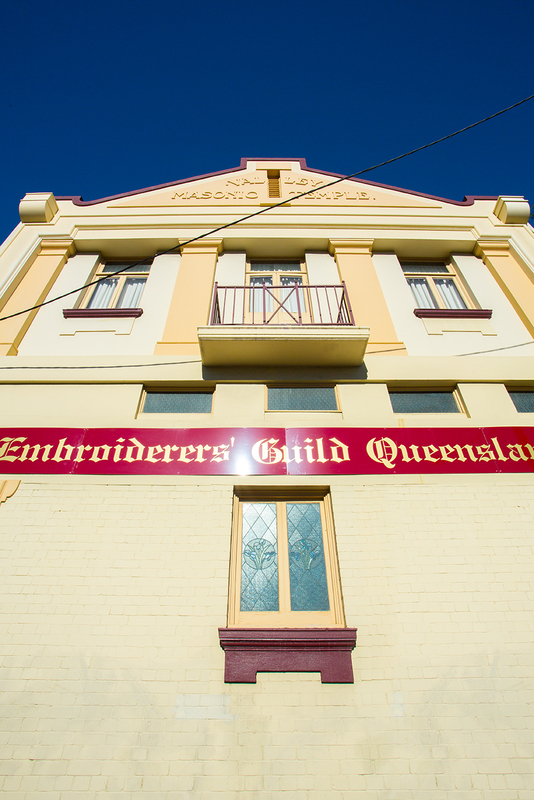 Enquiries can be made by contacting the Class Registrar, classes@embroiderersguildqld.org.au, or phone 3252 8629 for details.